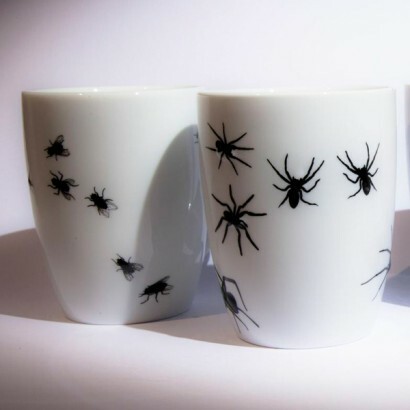 A truly versatile gift mug, perhaps you'd give these creepy crawly mugs to poor arachnophobes as a horrible joke, or as a thoughtful loving gift to an anachrophile, or perhaps to someone with a cast iron nerve who shares an office with would be mug thieves. Try the fly mug to put people off stealing your cup, they're much more likely to go for the novelty Smarties mug. Whatever your reasons, these bug mugs make ideal gifts; available in spider or fly.